I used to have a decent nail varnish collection many years ago, until I started moving around all the time and they got a little lost along the way. 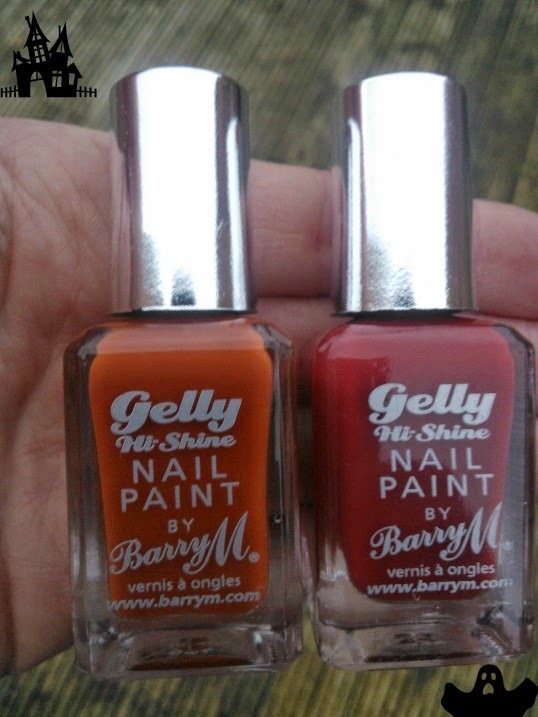 I'm slowly building up a colour range again and last month these two shades from Barry M's autumn/winter collection caught my eye. I really the loved the Paprika shade, it really stood out as I hadn't seen a shade like that before. The Chilli shade to be honest i'm sure you can find something similar elsewhere as there are a multitude of red/berry/wine shades on the market. But it looked good sat next to Paprika so I bought the two there and then. My nail varnish skills are pretty poor so you'll have to ignore the bad application, but this is what they look like on. 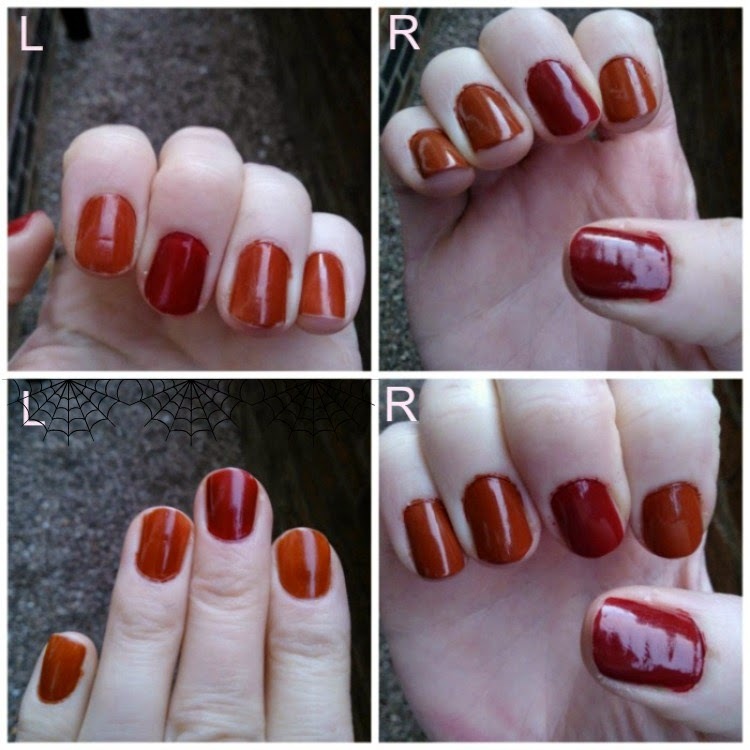 The left-hand is with one coat and the right with two. I prefer the Paprika shade with just one coat. Chilli looks good either way! For some reason i've never worn a full set of hands in just one of these shades, as you can see from the picture i've always mixed it up. My favourite way is wearing Paprika on my left and Chilli on my right hand. I really like the mustard coloured shade and if there is an offer I like in store (I always shop with offers!) i'll get this. This time of year i'm always tempted by the glittery/3D type varishes but they are a PAIN to take off. I did find a really cool one once that had little strands in it and looked exactly like red and green tinsel on a tree! What do you think of this collection, do you like or have any of these shades?